Best known as a contributor for over five decades in Mad, where he specialized in satires on the leading feature films and television series. Some sources list his birth date as March 22 and others as March 29. Born in Brooklyn, New York City, Drucker attended Brooklyn’s Erasmus Hall High School. There he met his future wife Barbara, whom he married shortly after her graduation. Drucker entered the comics field by assisting Bert Whitman on the newspaper comic strip Debbie Dean in 1947 when he was 18, based on a recommendation from Will Eisner. He then joined the staff of National Periodical Publications (DC Comics), where he worked as a retoucher. While at DC, Drucker also ghosted “The Mountain Boys,” Paul Webb’s regular gag panel for Esquire Magazine. Early in the 1950s, Drucker left his DC staff gig and began doing full-time freelance work for a number of comic book publishers such as Dell, Atlas and St. John’s, as well as several humor and war titles for his former employer. Drucker had arrived at the Mad offices with pages from his Hopalong Cassidy comic book work for DC Comics and some of his “Mountain Boys” strips, as well as a humorous “little situation” featuring The Lone Ranger and Tonto that he had specifically drawn for the interview. Though this work was unlike the likenesses and continuities he would become best known for, the Mad staff reacted favorably. The first to review Drucker’s portfolio was Mad associate editor Nick Meglin, who admitted, “I didn’t spot how great he was at caricatures. Not at first. But then, he wasn’t that great then.” Drucker himself says that he “just wanted to be an artist… to get paid for drawing anything,” and only started focusing on caricature work because he started getting more and more of those assignments. “That’s when I realized I’d found my calling,” said Drucker. 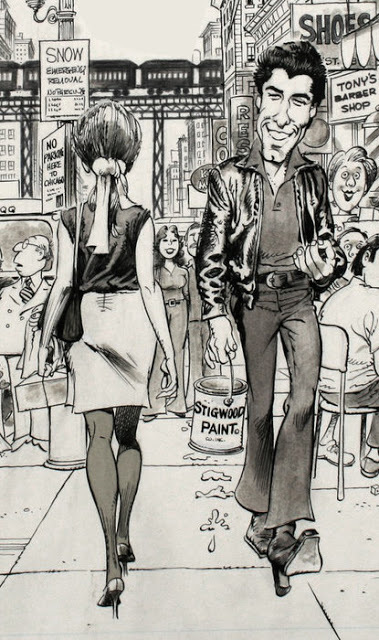 At the time of Drucker’s arrival, Mad did not regularly feature TV and movie satires; editor Al Feldstein credited Drucker’s style and ability for the decision to start featuring them in every issue. Drucker also remained active for DC, illustrating War Stories, among other titles. Beginning in 1959, he spent four years drawing DC’s The Adventures of Bob Hope comic book. Drucker credits this stint as a key moment in his career, because it focused his work on caricature. In 1962, Drucker teamed with the prolific humor writer Paul Laikin on the highly successful JFK Coloring Book (Kanrom Publishers), which sold 2,500,000 copies. Two decades later, Drucker illustrated similar coloring books on Ollie North and Ronald Reagan. His film posters include Universal’s American Graffiti (1973), directed by George Lucas. 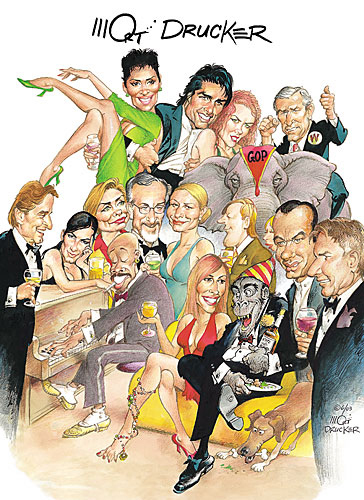 Drucker also pursued assignments in television animation, movie poster art and magazine illustration, including covers for Time, some of which are in the National Portrait Gallery of the Smithsonian Institution. His album covers include art for the pop band The Bears and the Anthrax album State of Euphoria. In addition to books collecting his own work, he has provided illustrations for numerous books by others, including children’s books, humor books and satire. He drew the prop cartoons used in the 1957 Broadway musical comedy, Rumple, starring Gretchen Wyler, Elliott Gould and Eddie Foy, Jr. 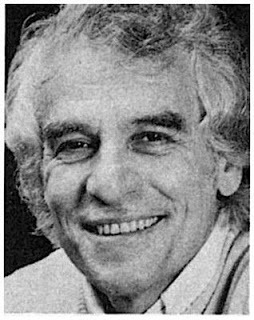 Between 1984 and 1987, Drucker collaborated with Jerry Dumas (and John Reiner) on the daily comic strip Benchley. Set in the White House, the plot revolved around the fictive character Benchley who acted as the assistant and admirer of contemporary presidentRonald Reagan. Dumas commented, “Nobody ever did a strip about the government. It’s a wonderful place to set a strip. There’s so much room for humor in the White House. Benchley was syndicated by The Register and Tribune Syndicate, Inc. In 1990, Drucker designed the Supercup for Target. The following year, for the United Fresh Fruit and Vegetable Association, Drucker and executive Mitchell Erick created the Frugies (pronounced fru-jees) to promote June as National Fresh Fruit and Vegetable Month. The campaign included such characters as Lord Mushroom, Pepe L’Pepper, Penelope Pear and Adam Apple. 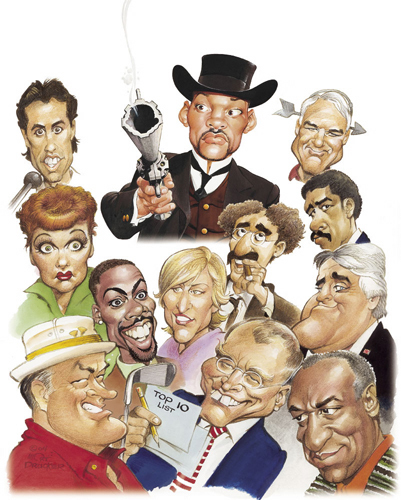 Mort Drucker’s Time covers are in the collection of the National Portrait Gallery. He was recognized for his work with the National Cartoonists Society Special Features Award (1985, 1986, 1987, 1988) and its Reuben Award (1987). Drucker was awarded an Honorary Doctor of Fine Arts degree from the Art Institute of Boston.